Well, I was working on ESXi command line to troubleshoot one issue. 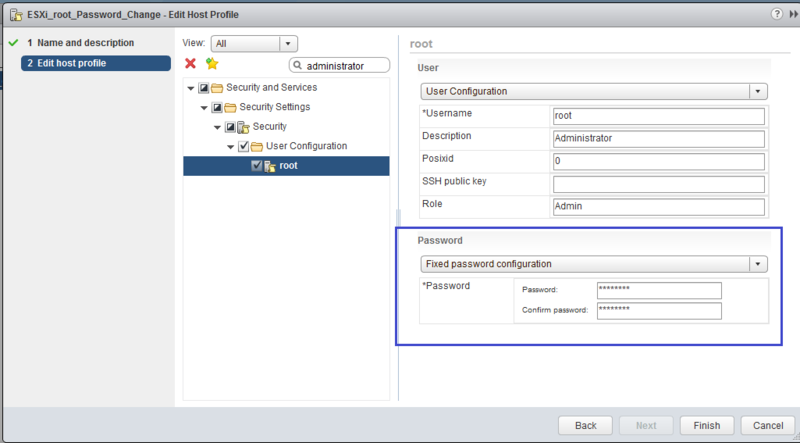 Unfortunetely noticed that I could not recognized root Password for one of ESXi Host. What's Next? 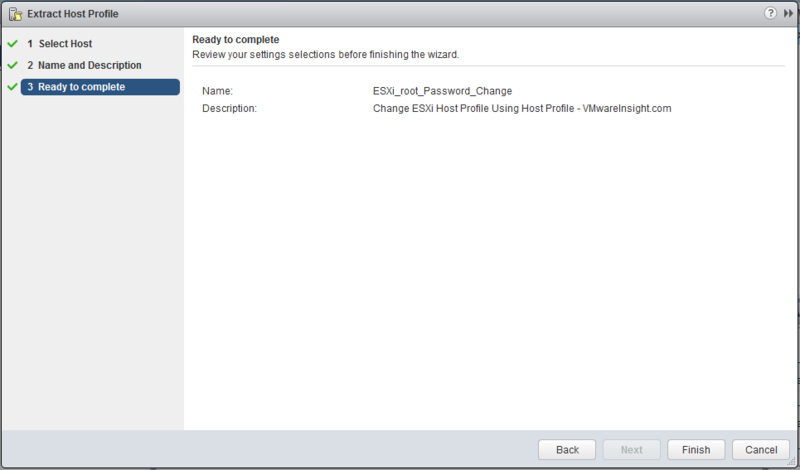 Thinking to Reset ESXi Password! You are on right track. Host must be part of Virtual Center to Perform this. Login to Virtual Center. Put affected Host in Maintainance Mode where you fogot password. 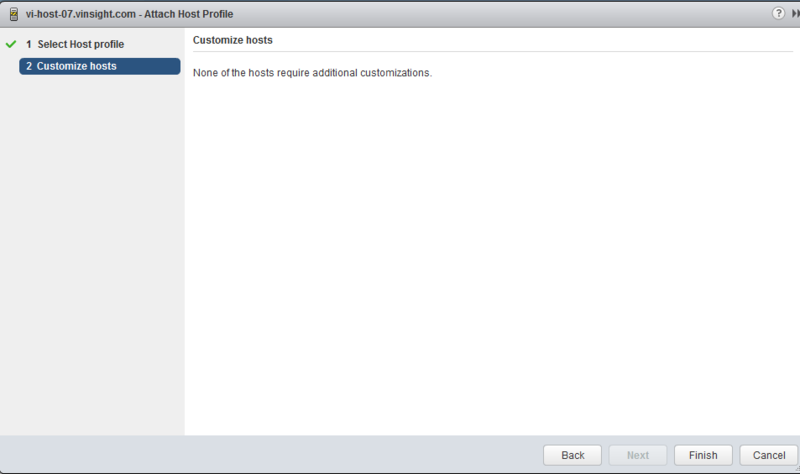 Create a Host Profile using any Existing Host. To Create Host Profile, Go to Home and Click on Host Profile. Click on Extract Profile from a Host. 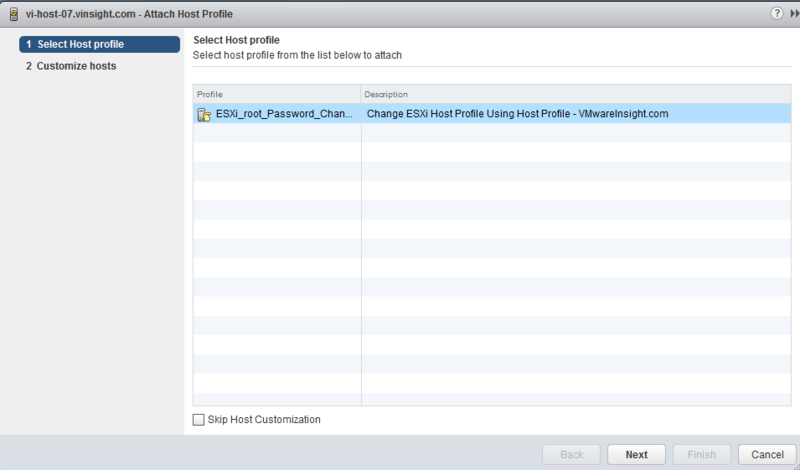 Select any ESXi Host which you want to use to create Host Profile. 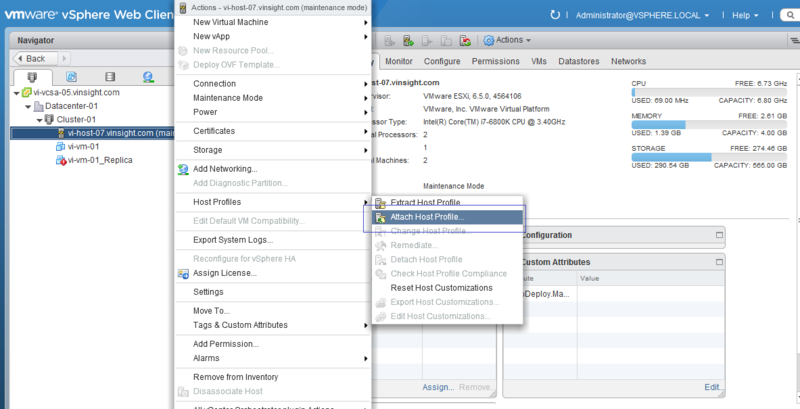 In our case, we have only one host in this lab, so I used same Host to create Host Profile. Select Host and Click Next. Enter the name and description for Host Profile. Click Next. Go back to Host Profiles Option. Now you can see newly created Profile here. Right Click on Host Profile and Select Edit Settings. 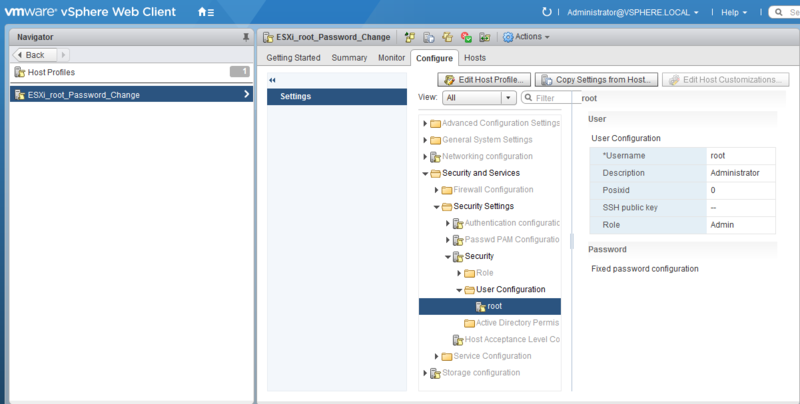 Edit Setting will open Configuration Wizard. Deselect all the settings. Type "administrator" in search bar to filter settings. 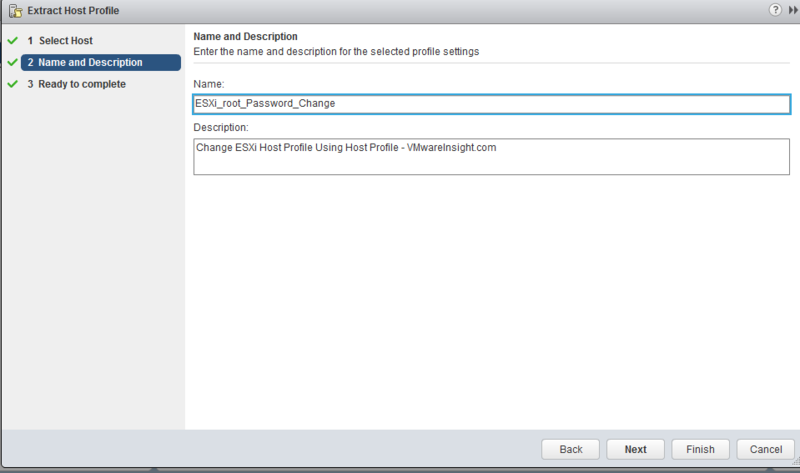 From Drop Down option, Select "root"
Select Fixed Password Configuration and define Password as per your choice which you want reset in your ESXi Host. Host Profile has been configured. Review the Settings. 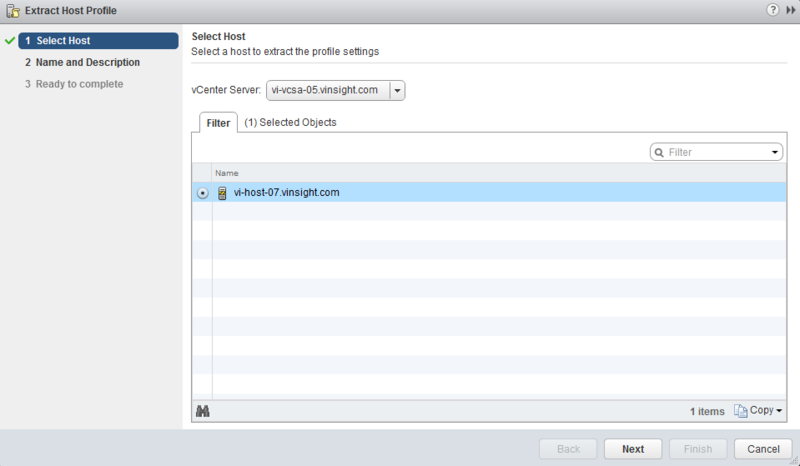 Now Next Plan of action is to attach this Host Profile in affected Host and Remediate Host to make the changes applied. Go to affected Host, Right Click and Select Host Profile > Attach Host Profile. 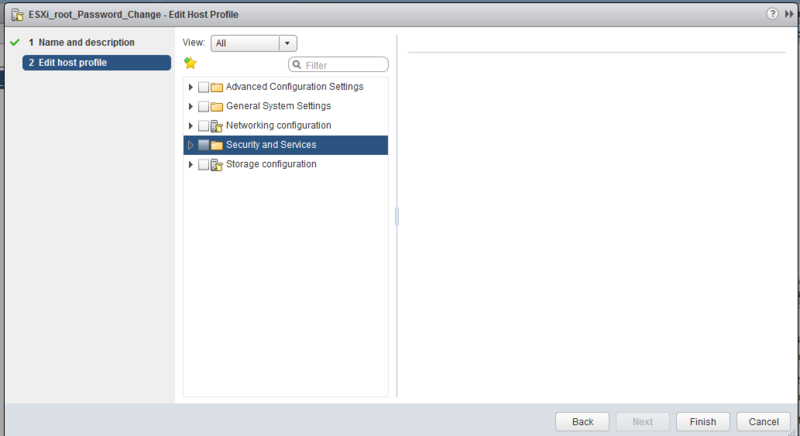 Select Host Profile from list. Choose the one you created recently for Password. 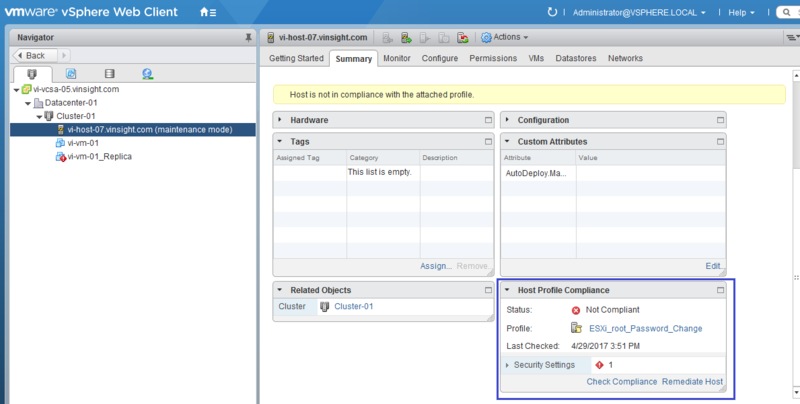 Check the Host Profile Compliance Status. It will be currently in Unknown state. 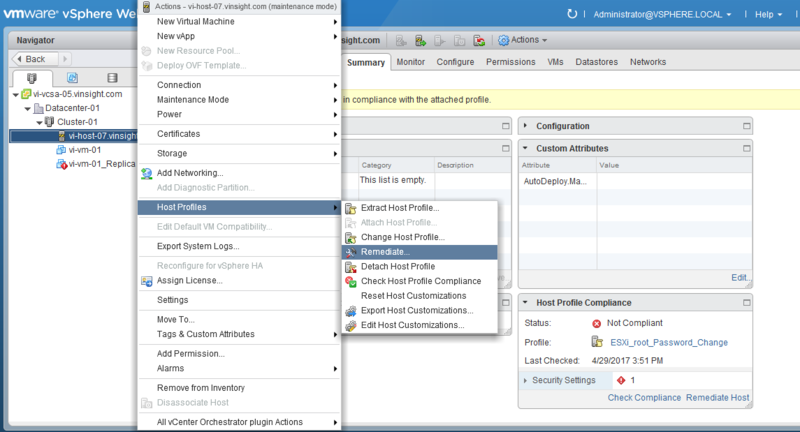 Check Host Profile Compliance Status. Host is not in Compliance with the attached Profile. Remediate the Host. Click on Host > Actions > Host Profiles > Remediate. Wizard will open. 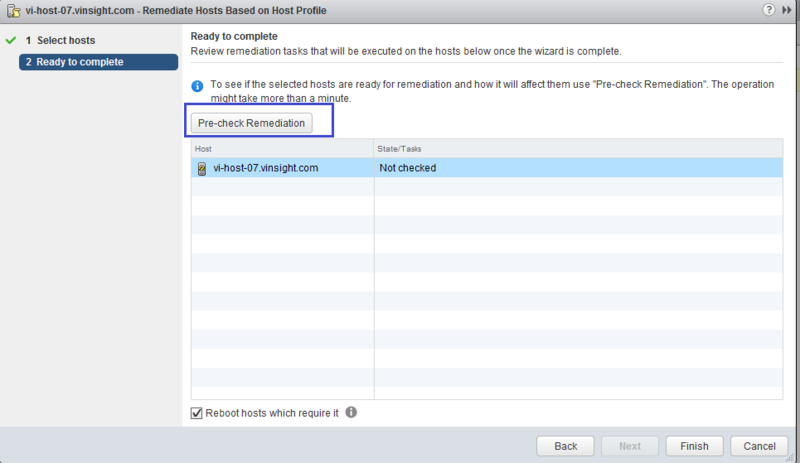 Click on Pre-Check Remediation. 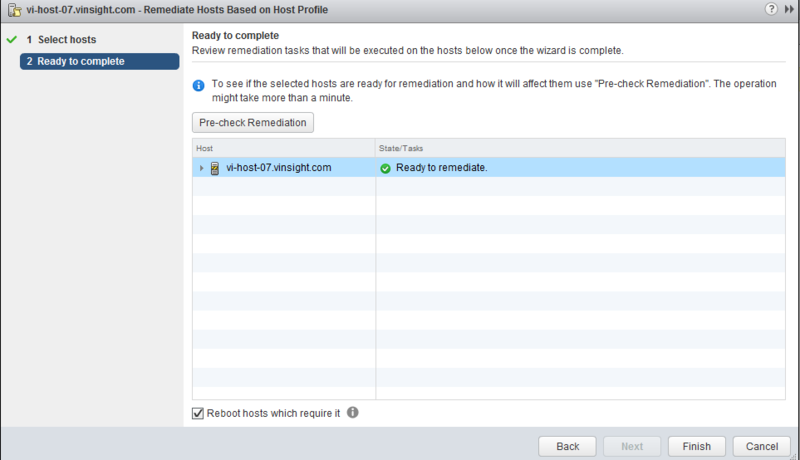 Host is now Ready to remediate. Click Finish to complete the remediation. 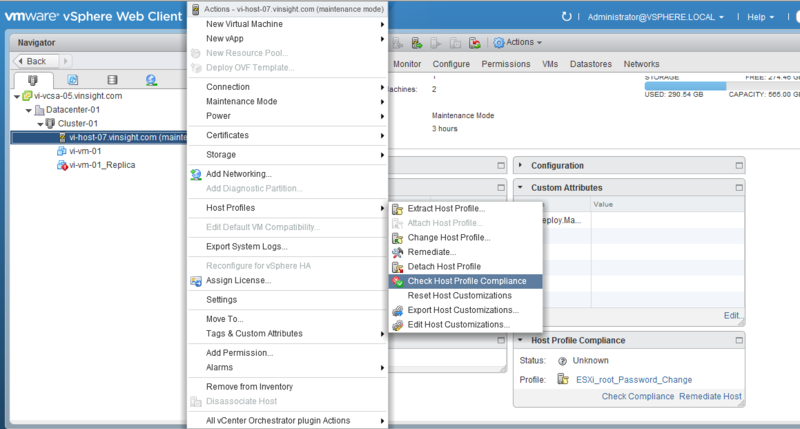 Once Remediation is completed, you can refer back to Host Profile Compliance Status. It will be Green and Compliant. 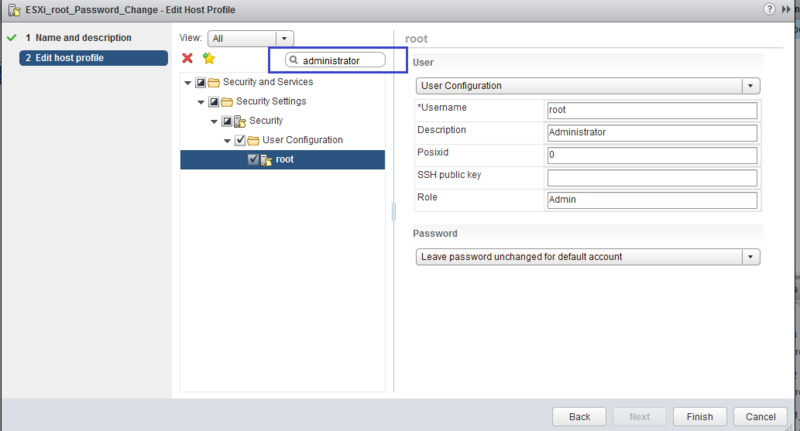 Now root Password has been changed as you defined in Host Profile Configuration. You can detach the Host Profile. Login to Putty to Check the if Password has reset.